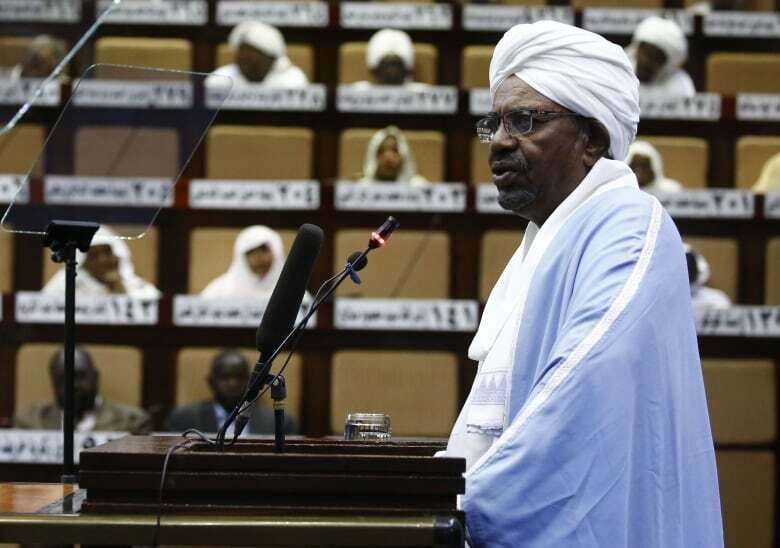 Sudan’s armed forces were to deliver an “important statement” and asked the nation to “wait for it” on Thursday, state TV reported, as two senior officials said the military had forced longtime President Omar al-Bashir to step down. Eyewitnesses in Khartoum said the military had been deployed at key sites in the city to secure several installations since the morning hours. Armoured vehicles and tanks are parked in the streets and near bridges over the Nile River, they said, as well as in the vicinity of the military headquarters, where thousands were anxiously awaiting the army statement. The witnesses spoke on condition of anonymity, fearing reprisals. Sudanese protest organizers said they won’t back a military coup that has apparently forced al-Bashir to step down but want a civilian transitional government in place after his ouster. Sudanese activists behind months-long protests against al-Bashir said hundreds who were detained over the demonstrations have already been freed. The months of protests have plunged Sudan into its worst crisis in years. The demonstrations initially erupted last December with rallies against a spiralling economy, but quickly escalated into calls for an end to embattled al-Bashir’s rule.